Learn more about who I am. A complete list of my credentials can be found here. It's always wonderful to be acknowledged. Here are some of my rewards. Learn simple ways to achieve extraordinary health from my award-winning books. Healthy products to help you live a longer and healthier life. Schedule a telephone or skype consultation with me for answers to all your health questions. I would love to work with your large or small group - to start living healthier lives. With my unique perspective as a board certified Western trained physician and expert in natural health, I'll keep you up-to-date with all the latest health news. Be sure to check back here weekly for my latest health blog. My latest video segments recorded from one of my recent shows or appearances. Keeping your intestinal system healthy is important to all bodily functions. 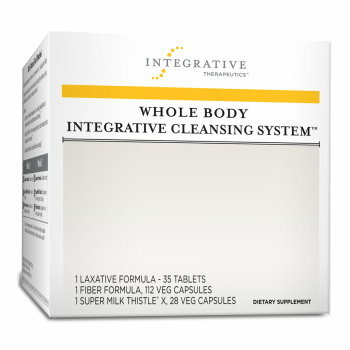 Over the years unwanted materials can build up in your system from environmental toxins, unhealthy waste Recommendations: Whole Body Cleanse Laxative Formula: Day 1 through 7: three tablets at bedtime with 8 ounces of water Day 8 through 14: two tablets at bedtime with 8 ounces of water. Reduce dosage if you experience abdominal discomfort or diarrhea. If discomfort persists, discontinue use. Fiber FusionT: For 14 days, take four UltraCapsT in the morning and four at night with eight ounces of water. Or, may be taken as eight UltraCaps at night with eight ounces of water. For more information, see enclosed guide. Super Milk Thistle®: Day 1 through day 7: One UltraCapT at night. Day 8 through day 14: One UltraCapT in the morning and two at night.